Sony PlayStation has announced the lineup of free PS Plus games for September 2018. First up, PS4 subscribers can download a free copy of Destiny 2. In Destiny 2, humanity’s last safe city has fallen to an overwhelming invasion force, led by Ghaul, the imposing commander of the brutal Red Legion. Players will venture to mysterious, unexplored worlds of our solar system to discover an arsenal of weapons and devastating new combat abilities. The second free PS4 title is God of War III Remastered. Play as Kratos as he rises from the darkest depths of Hades to scale the very heights of Mount Olympus to seek vengeance. On PS3 (and cross buy with PS4 and Vita) members can grab Another World – 20th Anniversary Edition, an action/platformer that released across more than a dozen platforms since its debut in 1991, with a remastered presentation. The second free PS3 title (and cross buy with PS4) is QUBE, a physics-based puzzle video game where the player guides their avatar through a series of levels to make their way to an exit. And on PS Vita, members this month can download Sparkle 2 (cross buy with PS3 and PS4), an action puzzle with three modes and over 90 levels. The second free Vita game is Foul Play (cross buy with PS4), as you take on the role of the daemon hunter Baron Dashforth in a side-scrolling brawler set on a theater stage. Further, there are two bonus games, avaiable from next week and until October - PS VR horror title Here They Lie, and the party game Knowledge is Power. 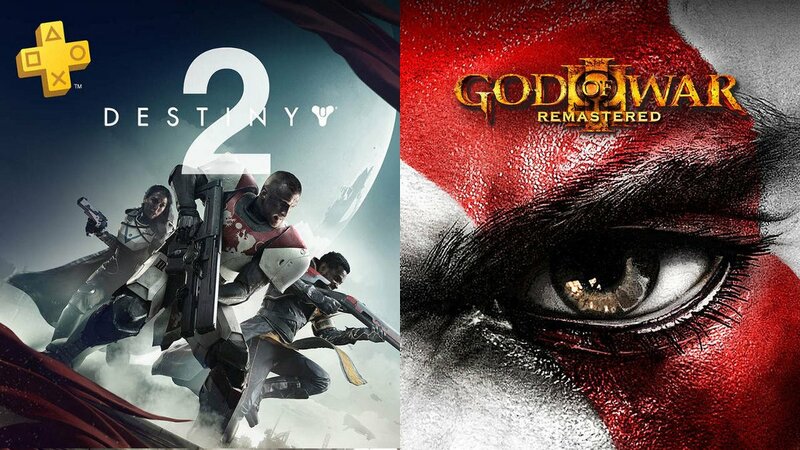 These games will be free for PlayStation Plus members starting on the first Tuesday of the month - except Destiny 2, which is available early starting today.